Where Are Gout Tests Going? Having just completed the 5th step in my gout diagnosis plan, I Have Gout 5: Uric Acid Test, I need to explain where gout tests are going. In my gout diagnosis plan, I explain that the gold standard gout test is an analysis of joint fluid. I also explain that new non-invasive tests are in development. It’s therefore interesting to see a comprehensive review of the current state of various imaging techniques. A new report, New insights into an old disease: advanced imaging in the diagnosis and management of gout contains a great deal of interesting information. However, the content is mainly of interest to practicing rheumatologists. There are some facts that are important for gout patients. Instead of a full review of this report, I will omit most of the technicalities. Instead, I will focus on the parts of the report that are most likely to affect gout patients now, or in the near future. The report looks at various imaging techniques that can measure uric acid crystals, and their effects. It makes the point that these techniques, though very important for initial gout diagnosis, will also play a part in measuring the effectiveness of gout treatment. Plain radiography, or x-ray, is the most widely available technology to help manage gout. Unfortunately, it takes 10 or more years for the effects of gout to show. In the early stages, x-rays fail to show gout, except for occasional non-specific swelling, which is obvious to the naked eye anyway. Some tophi are large enough and dense enough to show on x-ray. The most useful results of x-ray gout tests are to show damage to joints. This has led to the recent development of a joint damage scoring system. MRI technology is the least used for gout due to the high cost. MRI can detect tophi, but measurement is frequently confounded as the surrounding inflammation can be confused with the actual tophi. Ultrasound is being used more for gout diagnosis and management. As well as a diagnostic tool in it’s own right, it can also be used to guide the needle for collecting joint fluid. Progress has been made, and the ultrasound view of gout is more recognizable. Tophi can be measured, so ultrasound is an accessible way to measure how tophi shrink when uric acid is below 6mg/dL. Finally, ultrasound can detect inflammation, and so be used to measure the effectiveness of anti-inflammatory treatments. High Resolution Ultrasound (HRUS) is another development in imaging. This technology has proved to be superior to x-ray in measuring damage. CT scanning is seen as the best test for tophi and bone damage. Several studies have shown reliable results, and the authors make the point that CT scans will be very helpful in measuring effects of treatment during clinical trials and other investigations. DECT is the latest type of gout test and is particularly effective. It produces very clear images of the size and location of uric acid crystals. Unfortunately, it is too expensive, and still quite rare, so not available to most gout patients. However, we can all benefit from DECT as it reveals new insights into the nature of gout. We can see how joints begin to show signs of damage long before gout makes it’s painful presence felt. This changes the nature of gout treatment, and professional rheumatologists now recommend early uric acid lowering treatment. There is now doubt if so-called asymptomatic hyperuricemia actually exists. Rheumatologists now have the tools to study patients with long term high uric acid, even when they show no signs of gout. DECT scans can reveal if bones and other tissues are being damaged. I’ve added the qualifying currently to DECT not replacing joint fluid tests. At the moment, it is too expensive, and facilities are not widely available. This could change in the future. As you can see, gout tests are improving. Interesting as this is, current tests are adequate to allow gout diagnosis in all but the most complicated cases. The most important thing you can do is to arrange your personal test for gout today. 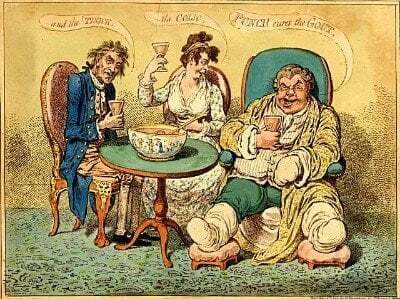 If you are worried you might have gout, book to see your doctor now. Delays only mean more pain, and untreated gout causes joint damage. Prolonged untreated gout leads to organ failure, so if you value your kidneys, heart, and other organs, arrange your gout tests today. If you need help knowing what to ask your doctor about your test for gout, or help understanding your gout test results, please ask in the gout forum.